India’s first domestically designed and developed beyond visual range air-to-air missile (BVRAAM), designated Astra, is ready for induction into the Indian Air Force’s (IAFs) inventory following the successful completion of pre-induction trials, the Indian Ministry of Defense (MoD) said on October 4. The Astra BVRAAM is slated for induction in 2019. The tests were conducted between September 26 and October 3 at Integrated Test Range (ITR), Balasore as part of the final development trials of the missile. 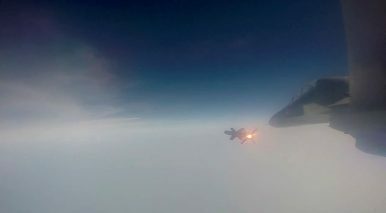 The pre-induction trials entailed the firing of the missile from an IAF Sukhoi Su-30MKI multirole air superiority fighter against unmanned aerial vehicles. According to information supplied by the MoD, the missile hit and destroyed all of its designated aerial targets. ISLAMABAD: Saudi Arabia on Wednesday agreed in principle to set up a major refinery at Gwadar and showed serious commitment to make investments in other areas of energy sector, according to federal Minister for Petroleum Ghulam Sarwar Khan. The minister told journalists that the two sides had agreed to set up an oil refinery at Gwadar and a summary would be moved to the federal cabinet on Thursday (today) for approval to sign a memorandum of understanding (MoU). He said the Saudi minister for energy was expected to visit Islamabad later this month for signing of the MoU. He said the visiting Saudi delegation was offered to participate in the $2bn North-South Gas Pipeline and bid for the upcoming 10 petroleum exploration blocks to be offered for auction soon. Will Reusable Launch Vehicles Determine the Winner of the Space Race? The 21st century battlefield is rapidly unfolding as data-driven warfare rather than manpower driven. Multiple satellites and probes in orbital space provide real-time data to an individual soldier in today’s frontlines. Dominance in the data-driven battlefield of the future is fueling the space ambitions of emerging powers such as China. In this race, Reusable Launch Vehicles (RLV) are viewed as a disruptive technology that may catapult China to a major power player. Amid concerns that Russia may be trying to influence the 2018 midterm elections through hacks and disinformation campaigns, top American officials are warning of another threat: China. China has one of the world’s most intrusive intelligence collection capabilities and has a long-term strategy of influencing the United States through information campaigns, according to top Trump administration officials. But they offered no details about the information campaigns. “It is part of a more holistic approach to influence the American public in favor of China,” Kirstjen Nielsen, the secretary of the Department of Homeland Security, said Oct. 2 during an event hosted by the Washington Post. While she did not offer specific evidence that China — or any other nation — currently has an intention to disrupt the American election infrastructure, Nielsen warned that leaders in the Asian country have the technical capability and could change their mind. Artificial intelligence (AI) has come to occupy an important role in Beijing’s ‘Made in China 2025’ blueprint. China wants to become a global leader in the field by 2030 and now has an edge in terms of academic papers, patents and both cross-border and global AI funding. China now dominates AI funding. Last year, 48 per cent of total equity funding of AI start-ups globally came from China, compared to 38 per cent funded by the US, and 13 per cent by the rest of the world. This is a significant jump from the 11.3 per cent of global funding China made in 2016. China’s economy is so large – and growing so rapidly – that it’s difficult to get a true read on the size of its influence on the world stage, according to this opinion piece by David Erickson, a senior fellow and lecturer in finance at Wharton. 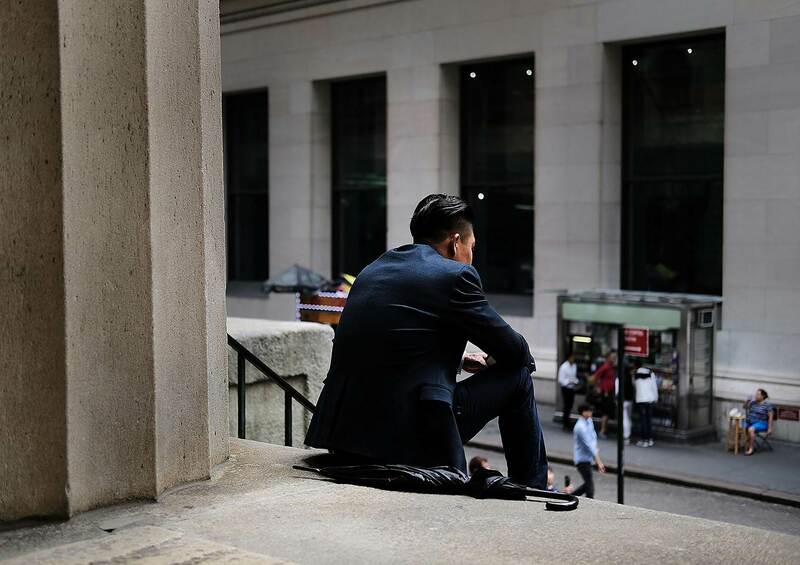 Before he taught at Wharton, Erickson was on Wall Street for more than 25 years, working with private and public companies to raise equity strategically. 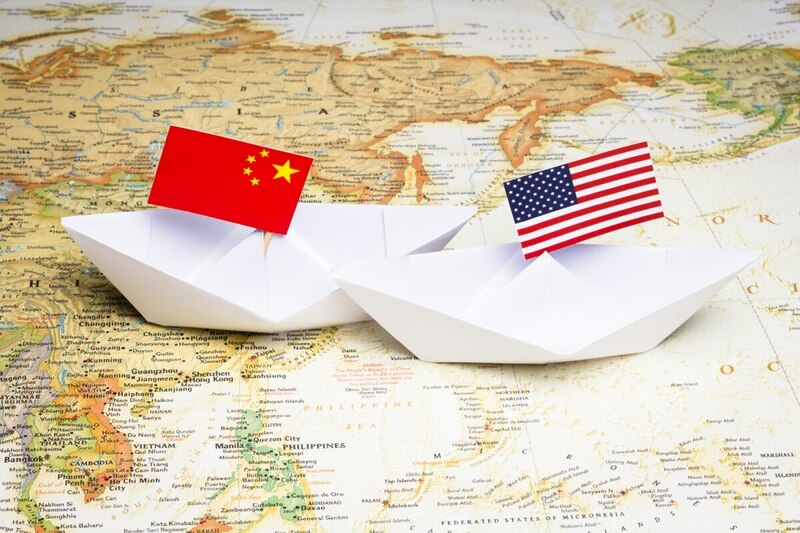 Some of the rhetoric out of Washington recently has been suggesting that the U.S. is “winning” the trade war because the U.S. stock market is near all-time highs as China’s domestic equity markets have declined significantly. While the domestic Chinese equity markets have suffered since the trade tensions started earlier this year, I think that premise underestimates the economic power of the rapidly growing number-two economy in the world and really needs a bit of context. Did Trump Just Announce a New ‘Aid War’ With China at the U.N.? 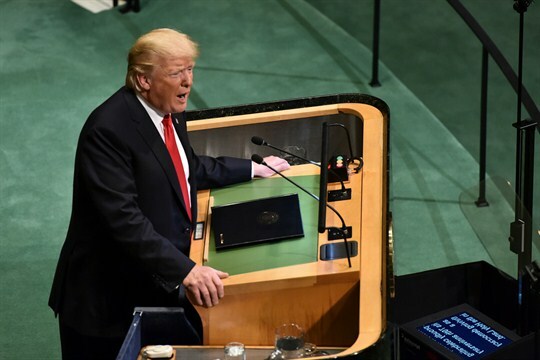 Was Donald Trump nasty or nice at the United Nations last week? The answer may depend on whether you listened to his comments from Beijing or Tehran. Diplomatic observers expected the American president to look tough at the annual meeting of the U.N. General Assembly. Many predicted that he would strike an especially aggressive tone toward Iran. He didn’t disappoint them, using his U.N. appearance to celebrate his withdrawal from the “horrible” Iranian nuclear deal and attack Tehran’s “agenda of aggression and expansion” in the Middle East. Yet there was something formulaic about his rhetoric, and he made no startlingly new threats against the Islamic Republic. CAMBRIDGE – The key strategic issue in East Asia is the rise of Chinese power. Some analysts believe that China will seek a form of hegemony in East Asia that will lead to conflict. Unlike Europe, East Asia never fully came to terms with the 1930s, and Cold War divisions subsequently limited reconciliation. Now US President Donald Trump has launched a trade war with China and negotiations with Japan that take aim at Japan’s trade surplus with the United States. While the recent announcement of bilateral talks postpones Trump’s threat of auto tariffs against Japan, critics worry that Trump may push Japan closer to China, whose president, Xi Jinping, is scheduled to hold a summit with Prime Minister Shinzo Abelater this month. I Visited the Chinese-North Korean Border. Here's What I Found. Amid a stalemated America-North Korea dialogue over an end-war declaration, President Donald Trump unequivocally said on September 25, “The sanctions will stay in place until denuclearization occurs.” Behind his remark is a long-standing belief shared by many North Korean watchers. The belief is that Kim Jong-un, a young and callow leader of one of the most economically backward and socially unstable countries in the world, would feel his throne jeopardized by his country’s dire economic conditions brought on by the draconian enforcement of international sanctions. This theory then suggests that such pressure would eventually lead Kim to succumb to Washington’s demands so that he could stay in power. For instance, North Korea’s conciliatory gesture from this year onwards seemed to further strengthen this belief. In fact, the White House, after witnessing Pyongyang’s sudden reversal, also attributed Kim’s change of behavior to Trump’s “maximum pressure campaign.” However, was the North Korea’s volte-face really made possible thanks to the sanctions? Maybe yes, maybe no. The truth is a bit more complicated than widely assumed. The outbreak of conflict in Syria in 2011, which quickly escalated to a full-blown civil war, has done tremendous damage to the country. One compelling way to visualize the devastation is using satellite night-light imagery. Imagery that depicts electricity use at night is an illuminating tool that can be used to track population trends, economic developments and geopolitical shifts. One of the most widely known examples of this approach is the set of images that highlight the stark difference in nighttime electricity use between South Korea and the less-developed North Korea. The image below represents electricity use in the Levant area of the Middle East by depicting the evolving intensity of night lights between 2012 and 2016. As millions of refugees fled Syria and warfare destroyed the country's electricity network, the night-light intensity in Syria dropped precipitously between 2012 and 2016. The Russian military intelligence agency accused of the attempted assassination of former spy Sergei Skripal has carried out a swathe of attacks in the UK and abroad on political institutions, financial systems, transport networks and the media, according to the British government. This secret international cyberwar has included the targeting of the US presidential elections which brought Donald Trump to power, according to a new report from the National Cyber Security Centre (NCSC), as well the anti-doping watchdog in world sport. The report follows the statement by Theresa May that Britain and allied countries will work together to expose the work of the GRU and the methods it uses. TEL AVIV: Israel is planning constellations of nano satellites, built by Israel Aerospace Industries (IAI), that will allow almost continuous coverage of “areas of interest,” which are likely to include Iran, Syria, Lebanon and other countries, according to experts that are not connected in any way to the program. IAI refused to comment. The first nano satellite was developed by IAI and was launched into space in 2017 as part of a scientific experiment. The 5-kilogram satellite — approximately the size of a milk carton — is equipped with special cameras able to identify various climatic phenomena, and a monitoring system that allows the choice of areas to be imaged and researched. Washington claims Moscow violated an arms control treaty. The United States has threatened to pre-emptively strike Russian missiles aimed at Europe. Its stated justification is that the missiles in question are medium range and thus in violation of a 1987 anti-missile treaty. They were initially singled out in the treaty because they could be rapidly prepared for launch and arrive on target with minimal or no warning time. That meant that it could knock out European retaliatory capability, undermining the deterrent effect of Europe-based systems. Washington’s ambassador to NATO, Kay Bailey Hutchison, said the U.S. remained committed to finding a diplomatic solution but was prepared to consider a military strike if Russian development of the medium-range system continued. She made it clear that the onus of diplomacy would fall on Washington’s European allies. Presumably, this means Germany, which has a somewhat functional relationship with Russia. U.S. Defense Secretary James Mattis said he would address the issue with his NATO counterparts tomorrow. The Problem Isn’t Fake News From Russia. It’s Us. In 1934, the investigative journalist and novelist Upton Sinclair ran in the California gubernatorial election as part of the End Poverty in California movement (EPIC). He proposed a sweeping progressive agenda that featured the introduction of pensions, increased income and property taxes on wealthy Californians, and the creation of a state-run network of cooperatives that put the unemployed to work. Business leaders and trade associations around the country, alarmed by the socialist elements of his agenda, put forth millions of dollars to support incumbent Gov. Frank Merriam. Secretary James Mattis climbs up the steps as he boards a US Air Force C-17. Acting to counter Russia's aggressive use of cyberattacks across Europe and around the world, the U.S. is expected to announce that, if asked, it will use its formidable cyberwarfare capabilities on NATO's behalf, according to a senior U.S. official. The announcement is expected in the coming days as U.S. Defense Secretary Jim Mattis attends a meeting of NATO defense ministers on Wednesday and Thursday. Katie Wheelbarger, the principal deputy assistant defense secretary for international security affairs, said the U.S. is committing to use offensive and defensive cyber operations for NATO allies, but America will maintain control over its own personnel and capabilities. WASHINGTON — Secretary of State Mike Pompeo announced on Wednesday that the United States was pulling out of a six-decade-old treaty with Iran that had provided a basis for normalizing relations between the two countries, including diplomatic and economic exchanges. The largely symbolic move came hours after the International Court of Justice ordered the United States to ensure that a new round of American sanctions imposed against Tehran this year did not prevent food, medicine and aircraft parts from reaching Iran. The treaty bears little relevance to the current relationship between Washington and Tehran. The move is the latest in a broad effort by the Trump administration to isolate Iran, reversing a diplomatic drive embraced by former President Barack Obama. The nature of warfare continues to evolve, to the point where we don't know much of anything regarding our next major conflict; where it will occur, when, or how it will be fought. Despite this unnerving period of ambiguity, the basics concepts of warfare endure. Chief among these concepts is Sun Tzu’s principle of knowing your enemy while also knowing yourself. Unfortunately, as our Army prepares for combat through execution of decisive action, we persistently struggle to know the enemy. This problem stems from struggles across the Army in understanding how to employ and integrate the intelligence warfighting function at the tactical level. Globalization is going through tough times. The UK’s exit from the EU, the rise of nationalist US president Donald Trump and the escalating trade spat between the US and China are stymieing the progress towards a more connected global economy. International trade as a share of GDP fell from 60% in 2011 to 56% in 2016 in another sign globalization’s ill health. If there is a turn against globalization, you wouldn’t know it by looking at the economy of Vietnam. In 2017, Vietnam’s trade as a percentage of GDP reached over 200%. This is the highest level for any country with over 50 million people in the World Bank’s data, which goes back to 1960. Of the world’s twenty most populous countries, it blows away number two Thailand at 122%. Rapid, sweeping changes in modern life are imposing new challenges upon society — and creating new opportunities as well, said noted columnist Thomas L. Friedman while delivering the fall 2018 Compton Lecture at MIT on Monday. “We’re in the middle of three giant accelerations,” Friedman said. Changes involving markets, the Earth’s climate, and technology are reshaping social and economic life in powerful ways and putting a premium on “learning faster, and governing and operating smarter,” across the globe, he said. “Technology is now accelerating at a pace the average human cannot keep up with,” Friedman added, emphasizing a key theme of his talk. This piece was written in tandem with “ Why a Space Force Can Wait” by CSIS Aerospace Security Project research associate Kaitlyn Johnson to provide the full range of arguments both for and against the creation of a separate Military Service dedicated to space. Read Johnson’s piece here. Both are part of the Defense360 FY 2018 Endgame Series. The Trump administration’s push to create a new military department, known as the Space Force, has generated a fair amount of skepticism and more than a few nerdy jokes. Despite being easy fodder for late-night comedians, the way in which the U.S. military and intelligence community are organized for space is a serious national security issue because the threats posed to U.S. space systems by other nations are real and growing. A Space Force is needed to consolidate authority and responsibility for national security space in a single chain of command; to build a robust cadre of space professionals who can develop space-centric strategy and doctrine; and to avoid the conflicts of interest inherent in the other Services that have short-changed space programs for decades. The British government has directly accused Russian military intelligence of being behind a spate of “reckless and indiscriminate cyber-attacks” carried out on the orders of Vladimir Putin’s Kremlin, including the hacking in 2016 of the US Democratic National Committee headquarters. The claim is a precursor to the announcement of further UK intelligence revelations of Russian state involvement in the poisoning in Salisbury of Sergei Skripal, the Russian double agent. In an unprecedented statement, the foreign secretary, Jeremy Hunt, said the National Cyber Security Centre (NCSC) had found that a number of hackers widely known to have been conducting attacks around the world were covers for the the Russian GRU intelligence service. He added that their attacks had been undertaken with the consent and knowledge of the Kremlin. Singer, a fellow at the New America think tank, opens his book with the twin tales of Donald Trump’s 2016 election victory and the Islamic State’s 2014 drive into northern Iraq—two feats that would have been impossible absent a masterly use of social media, he argues. Political and military leaders, however, have been slow to grasp, let alone respond to, this seismic shift, Singer writes. Tariffs will likely hurt the bottom line for manufacturers of electric vehicles, as well as their batteries, in the United States. The current trade uncertainty will have a major effect on many manufacturers' decisions on where to locate production in the future. The continued deterioration in the trade relationship between the United States and China could push Brussels and Beijing closer together, leaving U.S. companies isolated. Intellectual property rights will affect the development and emerging partnerships in the development of automated vehicles. In February 2018, the German government’s network was attacked. Germany did not specify what kind of information was accessed by the foreign hackers, but it is publicly known that the hackers successfully attacked the IT system of the Ministry of Foreign Affairs. On March 18, 2018, the Head of the Federal Chancellery and Federal Minister for Special Tasks, Helge Braun, issued a public statement about this attack and explained that the government would examine the possibilities of cyber counterattacks. His statement heated the political debate about cybersecurity and parliamentary opposition groups raised concerns and questions in official inquiries to the federal government on March 23, May 4 and May 7. The questions covered many topics ranging from Russia’s potential influence on the domestic political debate to facts about specific cyber attacks to the domestic institutional framework for cyber defense to attribution and the international legal framework. 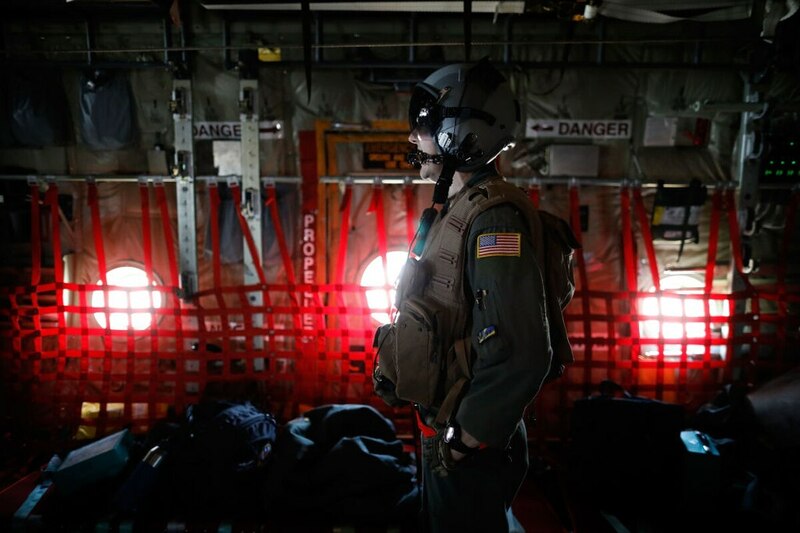 What Should Foreign Countries Read About How To Work With The US Military? Here’s a pretty damn good pre-deployment reading list from an Australian Defence Force officer. I hadn’t heard of this one, which is recommended for helping one work with the American military. I wonder if there is a reading list in that notion: What are the essential books to read about working with the American military? You’d want some contemporary books, of course, but I think I’d also include Grant’s memoirs. Suggestions? WASHINGTON — The U.S. military would be able to handle itself adequately in a single major regional conflict while maintaining smaller operations around the globe, but its “marginal” capabilities mean America would struggle if forced to take on a second major conflict at the same time, a new report has found. Defense News was given an exclusive interview with Heritage expert Dakota Wood, who edited the nearly 500-page report, ahead of its formal release. The full report can be read here. “The exponential explosion of publicly available information is changing the global intelligence system ... It’s changing how we tool, how we organize, how we institutionalize—everything we do.” This is what a former high-level intelligence official told us back in the summer of 2016, explaining how the people who collect secrets—professional spies—were adjusting to a world increasingly without secrets. We were asking him about one of the most important changes in technology and politics today: the rising power of social media. Whether it’s conflicts in the Middle East or political fights over the Supreme Court or the upcoming midterms in the U.S., social networks originally created for fun have instead become crucial battlegrounds. And this source, who had run the Defense Intelligence Agency, had been one of the most respected leaders of America’s recent wars, and had used these same online social spaces to run down terrorists and insurgents.